This out of the cellar edition is dedicated to all those friends of beer geeks that uncomplainingly sample all the oddball beers the beer geek in their lives subjects them to, smiling politely while you tempt (torture) their taste buds with all manner of crazy ABV’s, crazy flavour combinations, crazy tart sours, crazy heavy stouts, crazy …well you get the idea. This cellared beer, Old Cellar Dweller 2010 from Driftwood Brewery, has some history for its’ drinkers as it was the first beer we tried at our very first trip to the Great Canadian Beer Festival. In retrospect, starting the day with a whopping nearly 12% casked barley wine was probably not that smart but it certainly set the tone for the rest of the event! 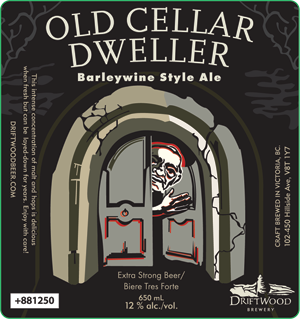 Old Cellar Dweller pours a hazy caramel colour, opaque with some light white head that ebbs quickly. A very sweet and syrupy nose starts you off. First few sips are malty, sweet and viscous, this is followed by more floral and earthy notes and just a bit of bitterness on the finish and a warming sensation that lingers. 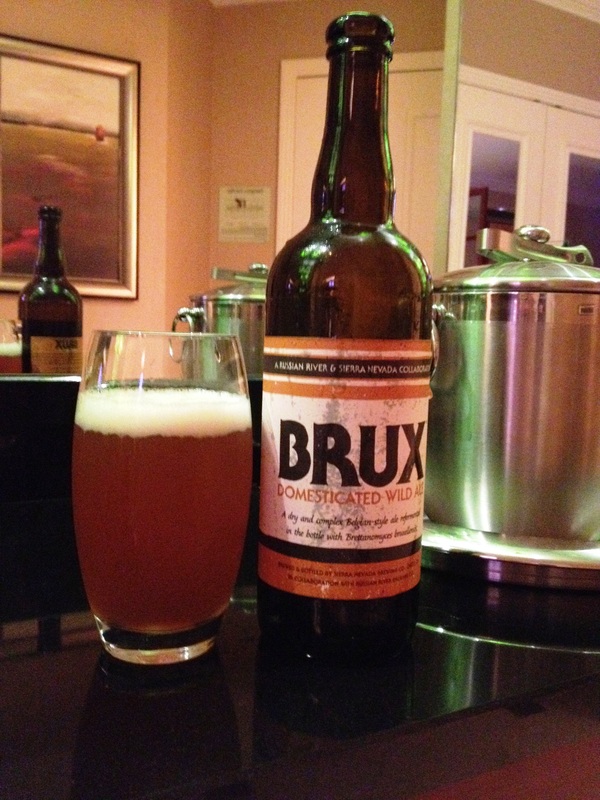 It is a caramel kind of beer, sweet but not cloying. 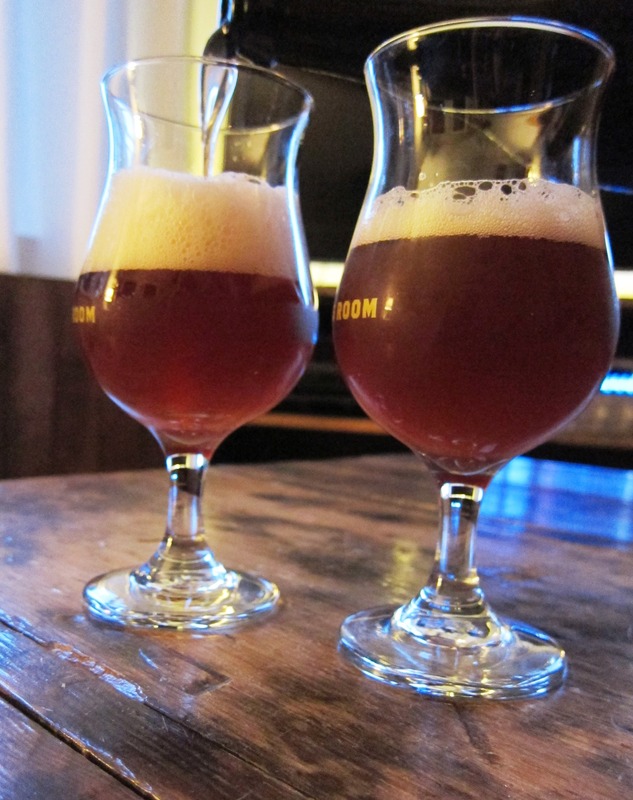 Barley wines really do age very well smoothing off any harsh alcohol and bringing the malt way forward. A lovely finishing beer and big enough (in quantity and personality) to share with friends. 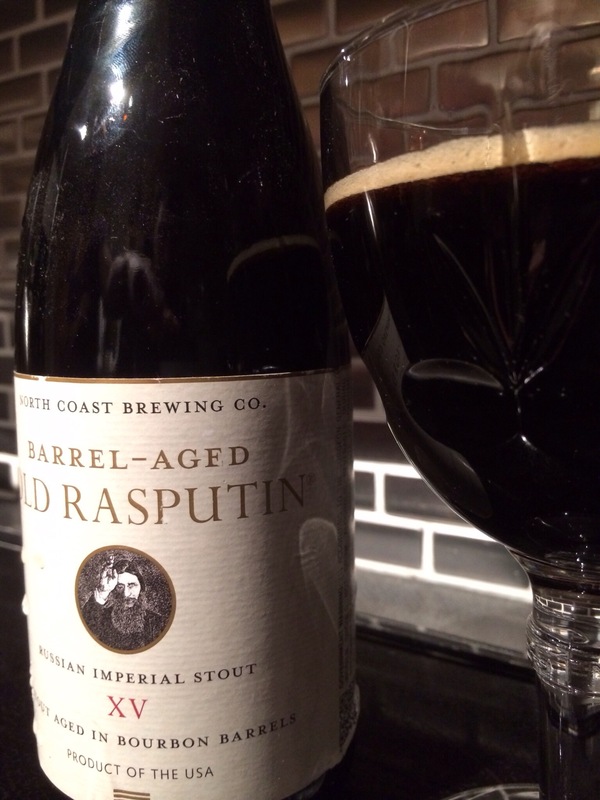 It is always a bit of a gamble when a gold standard beer like Old Rasputin is barrel-aged, I mean you already have a great beer so why gamble? Well as all good gamblers know the thrill is in the chase. The end product is not the rush, the rush comes from pushing the boundaries to see just how far you can take things without going off the edge. Old Rasputin XV pours a dark caramel black brown colour with a nice ring of cream coloured head. Lots of chocolate and vanilla one the nose with some sweet bourbon notes coming through. First few sips are a bit harsh I find the alcohol taste a little too much at the forefront. After breathing for a bit this one settles down and the usual Rasputin character emerges, slightly dry and bitter, chocolately (think raw chocolate), with medium body and smooth on the finish. Throughout you get the sweet bourbon flavour, which is quite nice BUT I have to say I prefer Old Rasputin sans barrel in this round. Partly I think this beer was drank too soon and it could have benefited from more time in the cellar. Guess I’ll just have to pick up another bottle and try,try again! I was very impressed with the other beer I tried from Cameron’s Brewing so I was understandably excited to try their take on one of my favourite beer styles the barrel aged imperial porter, not to mention this was the last beer of my trip so I hoped to toast my send-off to Ontario in style! Obsidian pours a deep black worthy of its’ namesake with lots of dense cream coloured head and nice lacing. 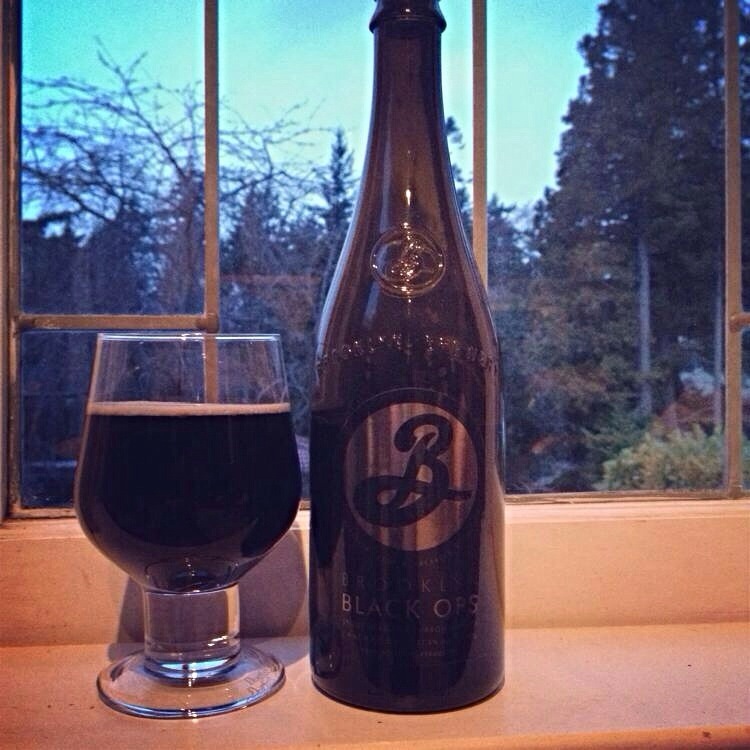 Big molasses, chocolate malt nose with a sweet caramel overtones. Full bodied but not into stout territory with enough alcohol presence to consider this a winter warmer. Flavours include chocolate, dried fruits, tobacco (smoky notes), rich heavy malts and a nice earthy character reminding the drinker this one spent some time in the barrel. At the same time there is a bit of hop to this one making the finish seem like a dry bitter chocolate with some lingering alcoholiness. Overall a great porter and one I hope will find its’ way out to British Columbia. Well as we all know best is a pretty subjective word and when it comes to beer, really what does it even mean? The best example of the style, the best for drink-ability, the best beer you can keep in regular rotation or the best extra-special extra-rare beer you try once in a lifetime? 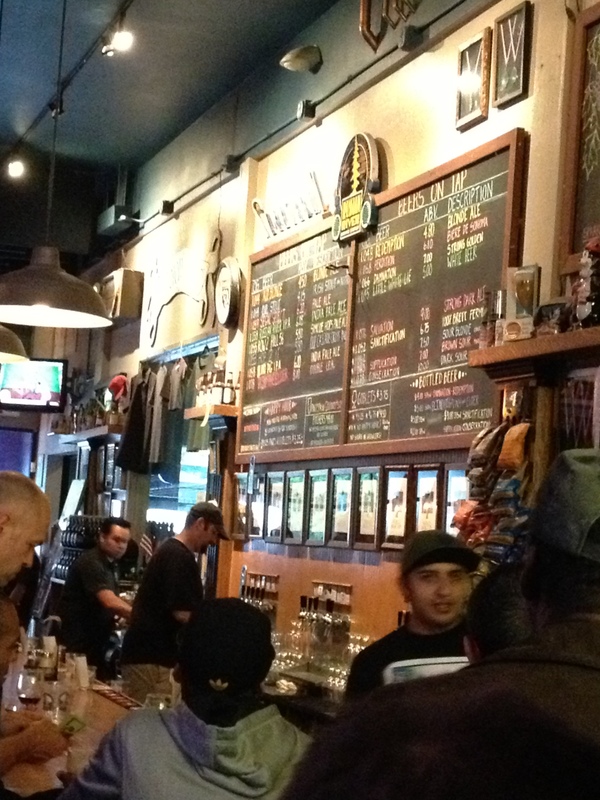 Does the best beer shift over time or is it the beer that can weather the latest craft beer fad? In my time on this planet (while I was over drinking age of course) I have had the pleasure of trying many truly remarkable beers including Westvleteren 12, Pliny the Elder from Russian River, Red Poppy from The Lost Abbey, Bourbon Barrel-aged Fred from Hair of the Dog, The Abyss from Deschutes, Rochefort 10, Tactical Nuclear Penguin from BrewDog and many others that at the time I felt were viable contenders for the mantle o f ‘best beer’ for various reasons. Needless to say after that many great beers a geek can become just a little picky and by extension a little hard to impress. Often I tend to fall back on the breweries I trust to not break my heart if I try something new. So when I heard my friends would be passing through Portland OR on holidays I asked if they would pick me up a couple of bottles from just one of those steadfast breweries Cascade Brewing Barrel House. Taking a quick peek at their availability I requested The Vine (a perennial favourite) and Manhattan (a beer I knew literally nothing about but figured what the hey). When my non beer geek friends went into Cascade they were told Manhattan just happens to be the best beer in the house (finely honed my beer intuition is) and this assessment got me a little excited. I mean if the people at the brewery think this is the best then its’ got to be impressive. Okay I guess I can provide a bit more information but I worry my words will not do this beer justice so here is the official description. 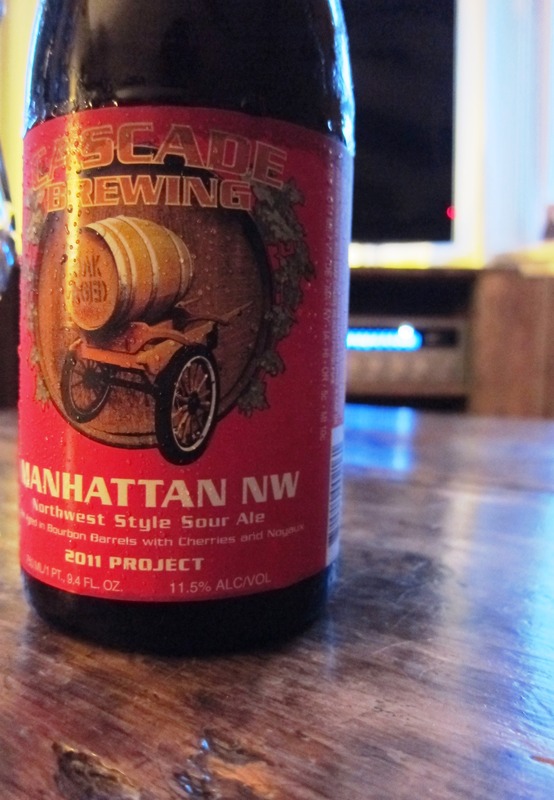 Manhattan NW 2011 project is “A blend of spiced Blond Quads, aged in Heaven Hill Bourbon barrels on 150 pounds of sour pie cherries for five months before additionally aging on apricot noyaux for three months”. …and here are my words. Manhattan pours a bright cherry brown colour with very good clarity and lots of light airy head that clings to the glass in rows of lacing. A liqoury and sweet nose with just a hint of cherry. Very smooth mouthfeel, no harshness from the strong alcohol, and a very still beer with no effervescence. Lots of flavours going on here dried fruit, rich caramel, bourbon, herbal notes and a bit of an underlying funkiness, It drinks like a cocktail, a Manhattan in fact. 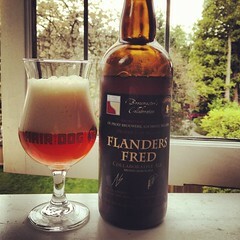 The sourness in this one is subtle just cutting through the beer’s richness and sweetness with a slightly tart finish. A warming beer that deserves to be sipped especially since the 11.5% ABV packs a very big wallop. Overall I was beyond impressed, Manhattan is quite simply the best beer I have had this year. Feeling a little disillusioned with my beer experiences thus far I assumed that I had wrapped up my brewery visits for this vacation. 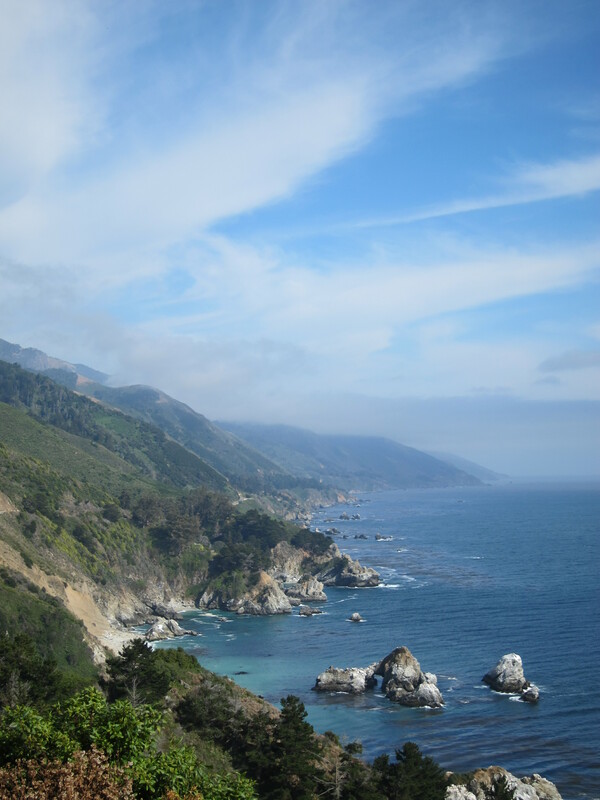 As such, we decided to take the scenic coast drive through Northern California on the way back home. 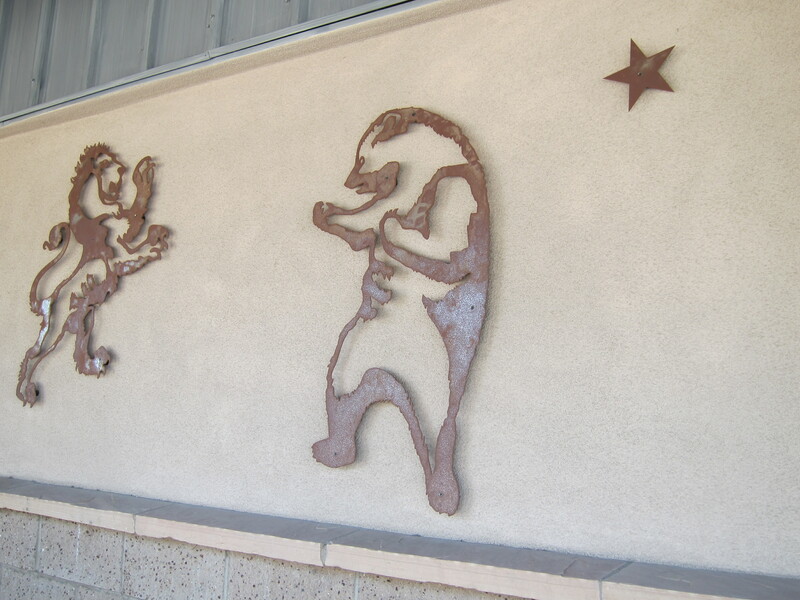 As we turned onto the highway at Paso Robles I spotted a large building adorned with the logo of Firestone Walker Brewing Company. 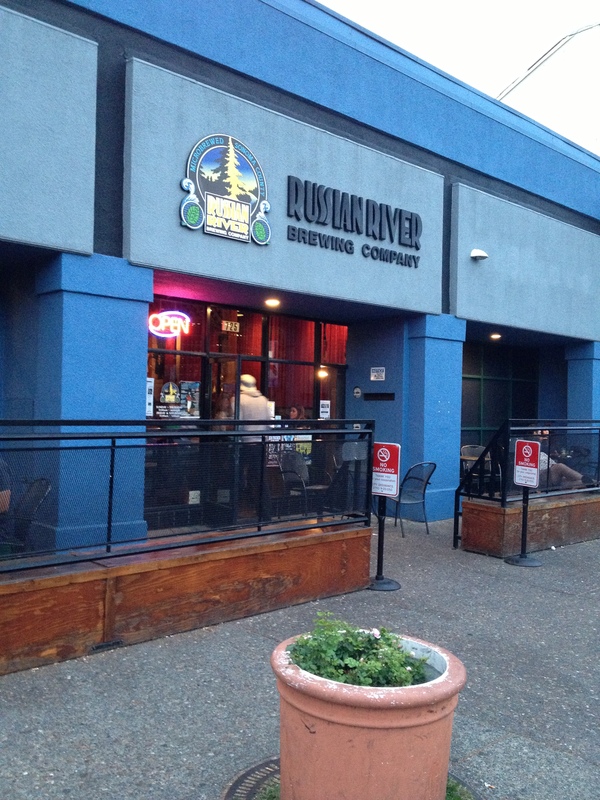 One quick u-turn and we found ourselves on an unscheduled visit to the taproom of a rather impressive brewery – in size, in scale and in beer selection. 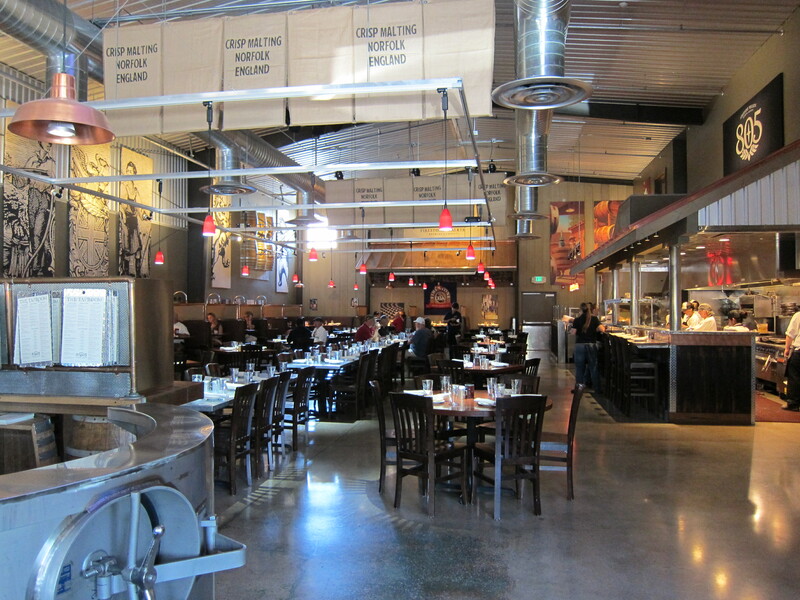 Now Firestone Walker is no micro-brewery as such, when you visit be prepared for the full-treatment; huge taproom and restaurant, brewery on premise, complimentary brewery tours, visitor centre, bottles circling on a conveyor belt in the taproom and lots of swag. 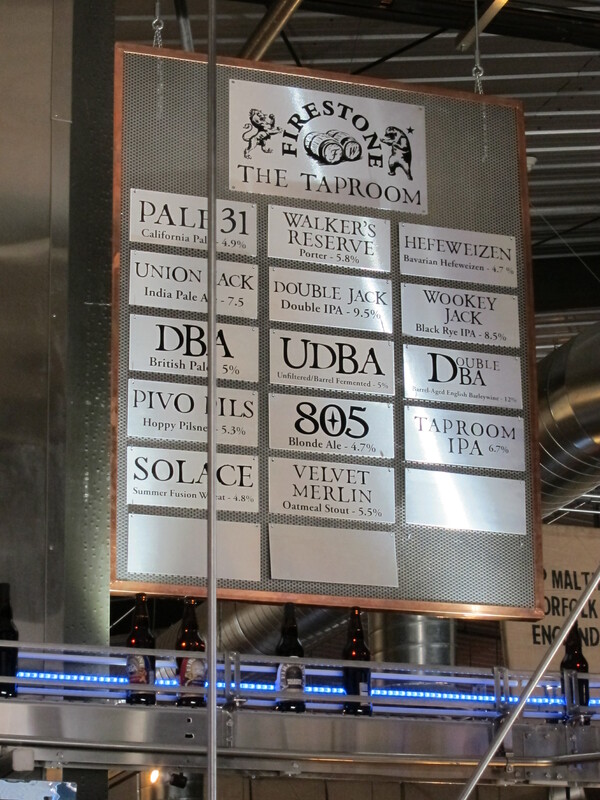 We decided to focus on the taproom exclusives so we could sample from a diverse swath of their line-up – for those on an extended visit and with some cash to burn they also have a nice selection of vintage bottles for order. Some of our favourites were the unfiltered DBA Double Barrel Ale (I liked this so much I brought some bottles of the regular DBA home), the Walker’s Reserve Porter, which was great for those who like their porters on the cold coffee side, the Double DBA, which was a big boozy barrel-aged version of the DBA and the Velvet Merlin, a nice clean oatmeal stout that is light bodied enough to be enjoyed in the California sunshine. An unplanned stop but a redemptive one that had me in much better beer spirits AND I brought home two really nice pils glasses to enjoy for the rest of summer! Anyone who has taken a look at my ‘What’s in the Fridge’ page will know that I have been aging beer pretty much since I began drinking craft beer. You also may have noticed that in previous posts I have commented on my reluctance to crack open bottles from this collection since the aged beers seem too special to drink on just any old occasion and really, if I have waited this long perhaps I should wait just a little bit longer (they might taste just a little bit better). But lately I feel like the time has come to start enjoying some of my well-cared for stash and as such I am going to start a series of posts where I review aged beers and discuss the changes that have taken place, especially for those beers that I have tried when they were just young ‘uns. Just a quick recap for those who have not read my post Maturing Beer, unlike mass market beer many styles of craft beer are brewed with the intention that they will be stored for some time before consumption. 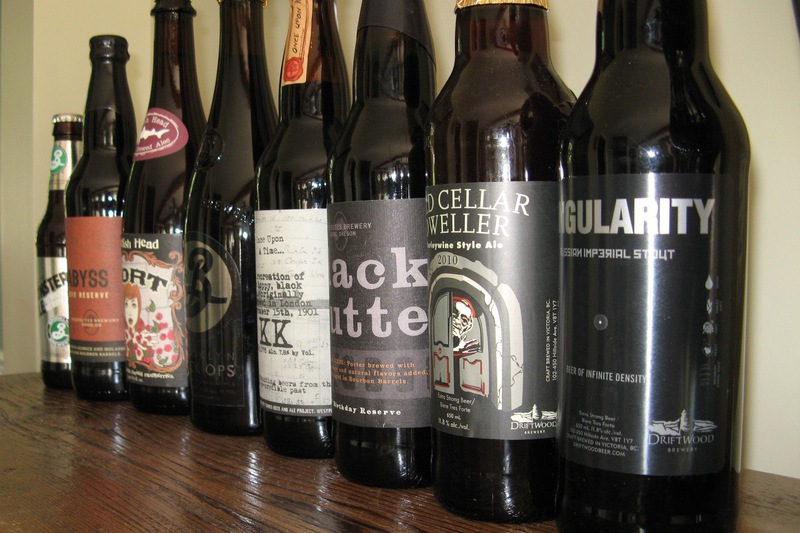 Strong beer with high ABV’s, Imperial Stouts, Barley Wines, Belgian Quads, Barrel-aged Porters, and basically any other robust style of beer can benefit from some time in the cellar. Breweries like Deschutes are even taking the initiative by posting best-after dates on their bottles. Basically the stronger your beer the longer you can age it. Also, if you are a really big beer nerd you can cellar different years of the same beer and hold a vertical tasting and actually taste the changes that are occurring. 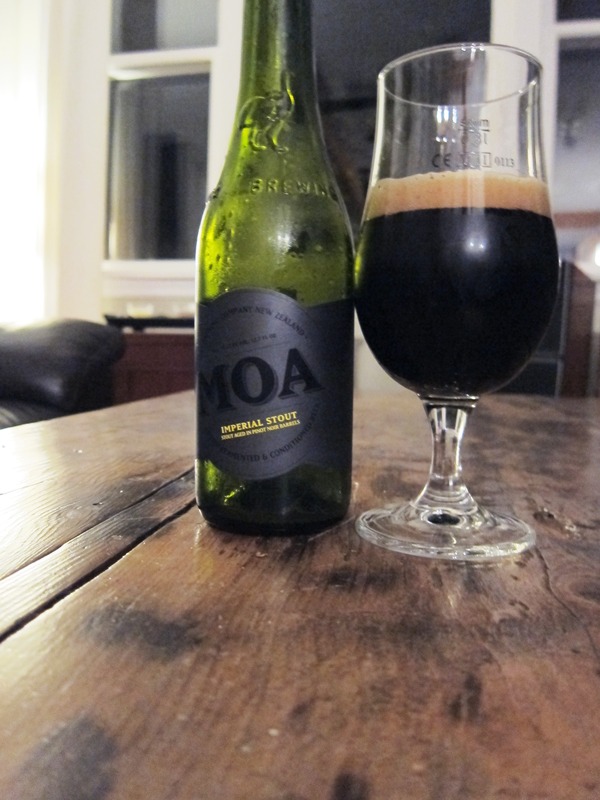 No I am not forecasting the next big thing in craft beer (though if I inadvertently do forecast the next big thing don’t forget to mention me) rather I am devoting this post to a brewery from New Zealand MOA Brewing Co. Yup you heard me right, New Zealand. Here in North America we tend to believe craft beer developed in places like Belgium, Germany and the United Kingdom and then migrated over to North America where we embraced the concept like fiends but it turns out other earth dwellers love the craft beer idea as much as we do. 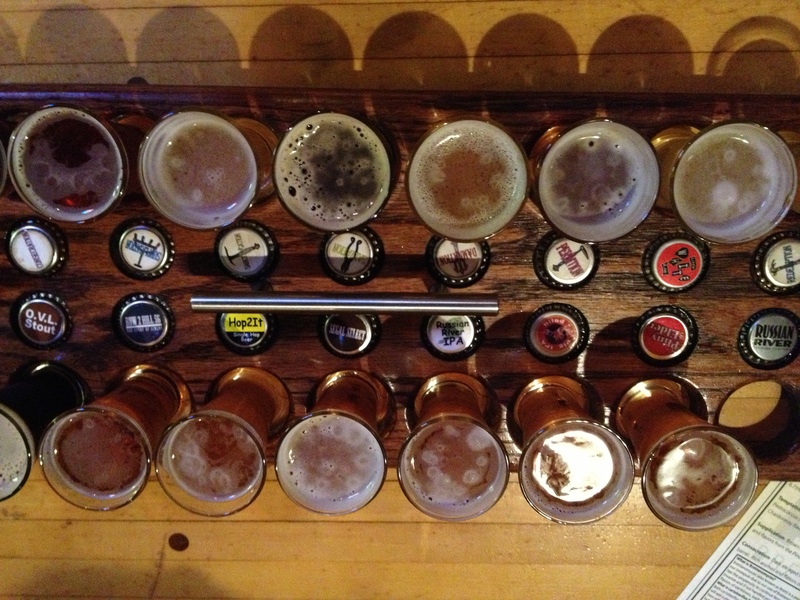 In fact, I recently wrote a post on Italian beers and was blown away to learn how dedicated their craft beer culture is. So on my last trip to Vegas I was pleasantly surprised to find a couple of beers from New Zealand on tap at The Cave in the Wynn, MOA Breakfast Ale and MOA Imperial Stout. In enjoyed them both and the next time I saw the bottles for sale I decided to revisit the beer and see if it still lived up to the memories. 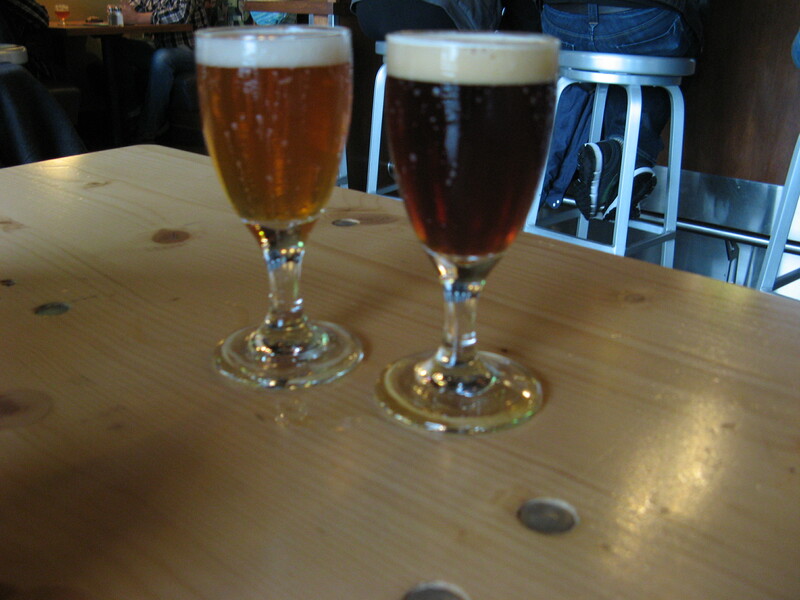 MOA Brewing Co. was opened by long-time home brewer Josh Scott in 2003 and MOA refers to a large prehistoric flightless bird. The company is based in Marlborough New Zealand and according to their website the beer is brewed “by lots of people and not many machines, as opposed to lots of machines and not many people”. 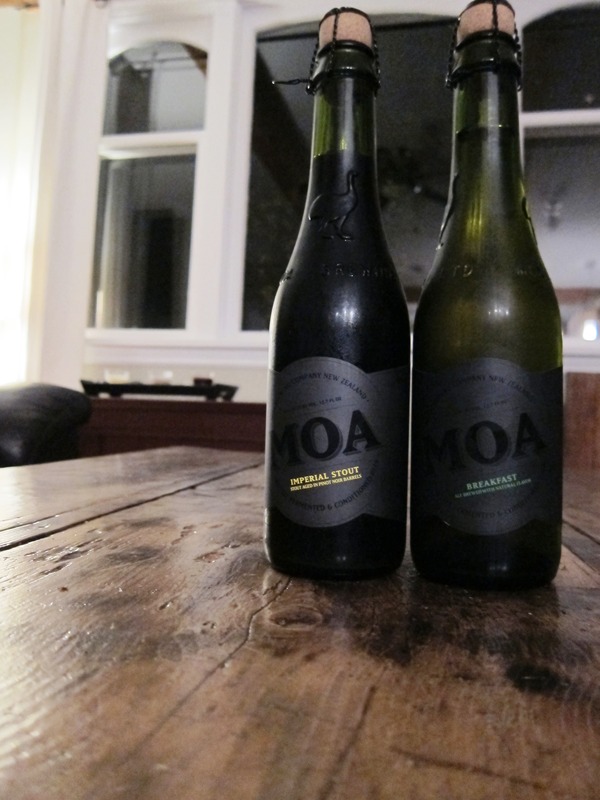 We are lucky enough to get a few of their beers here because MOA are currently one of the largest New Zealand beer exporters to the United States (and cross-border hopping Canucks). Reading through their website had me laughing out loud at several points, I appreciate the playful spirit that seems to come from people who love what they do and do what they love. Cheeky marketing, self-deprecating humour and poking fun at the ‘other’ guys, if you want a fun read browse through their site. 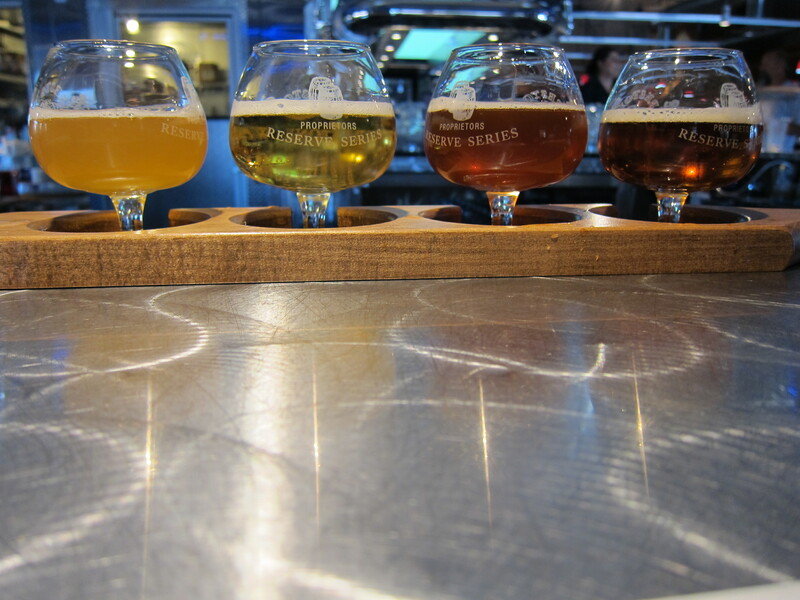 There are ten beers in their line-up as well as an apple cider and a pear cider. They brew with local hops that apparently smell like dak. MOA beers are unfiltered, unpasteurized and not force carbonated. The water source is a local artesian spring that flows beneath the brewery. Being nestled in wine country inspired the brewers to include techniques like barrel aging and bottle fermentation and condition. 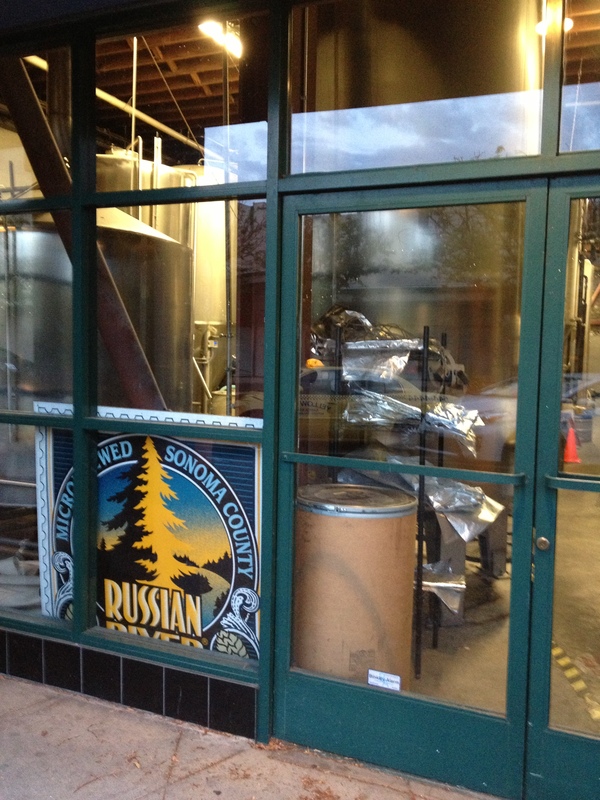 As they mention on their site they like to mix things up so the workers don’t get bored and burn down the brewery. 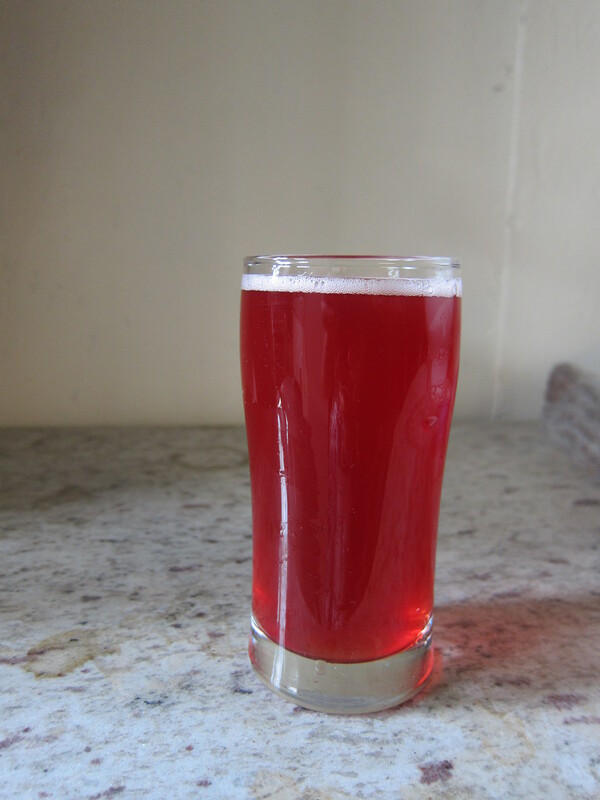 Breakfast Beer is wheat based lager brewed with wheat malt, floral Nelson hops and cherries. It weighs in at 5.5% ABV. Breakfast Beer pours a very pale gold with good clarity and just a little bright white head. 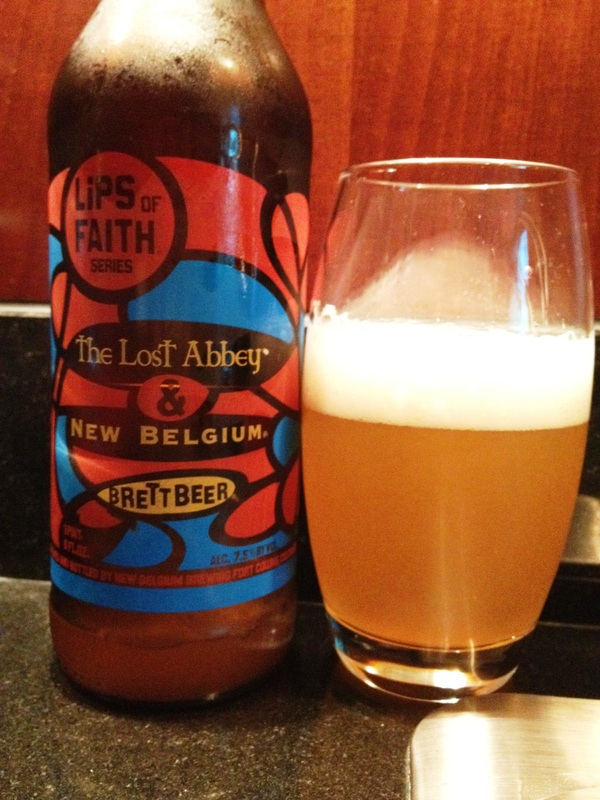 It is super fruity on the nose with a ton of cherry coming through and just a little yeastiness. It is clean drinking and light bodied with good carbonation. The fruitiness on the nose diminishes after a bit letting some of the other character emerge most notably the floral element. Flavour wise you get the cherry, an ever-so-slight bitterness and an earthy taste. There is no real finish to speak of. 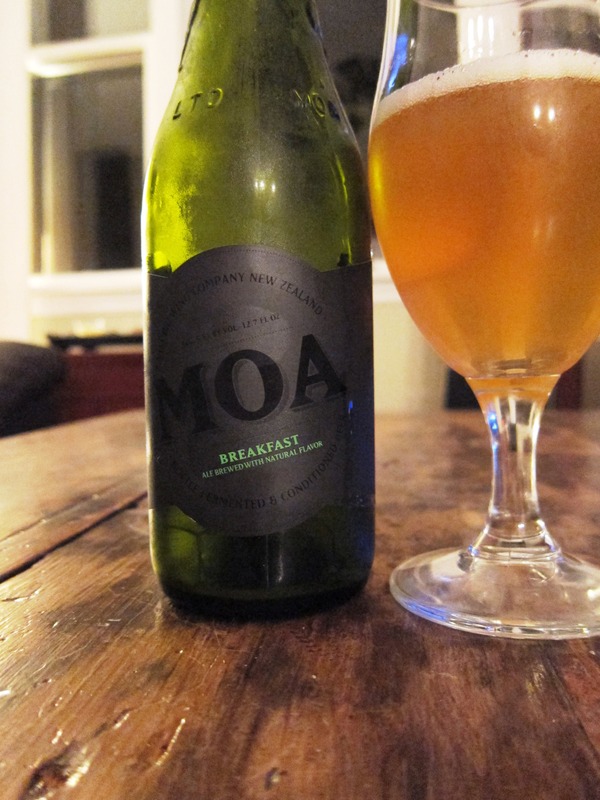 Overall I would say MOA Breakfast is a light crisp beer that hit the spot in Vegas but lost a bit of its charm on a cold and rainy Vancouver evening. Imperial Stout is strong and rich stout aged in Pinot Noir barrels. This beer displays coffee and mocha character as well as sweet and savoury notes. It weighs in at an impressive 10.2% ABV. 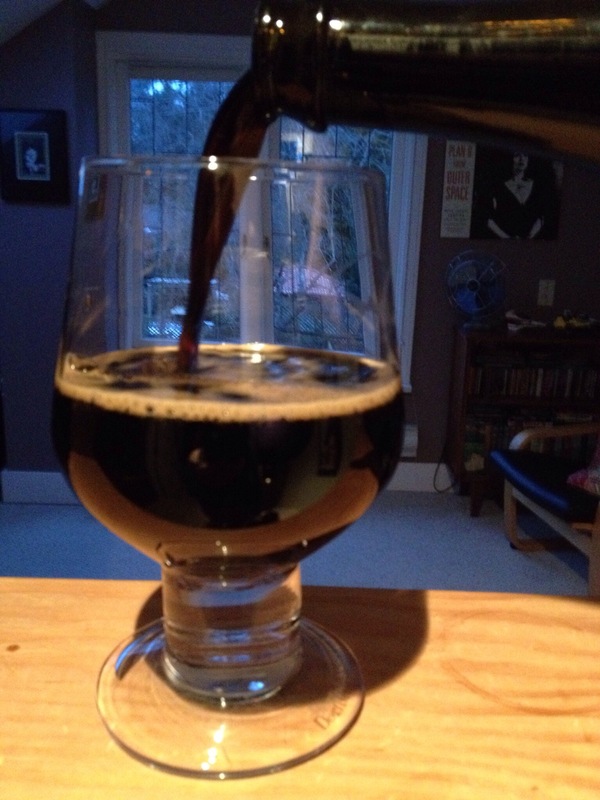 The Imperial Stout pours a deep brown black with a nice amount of mocha coloured head. There is a dark fruit component to the nose and little bit of sourness. As it warms the coffee notes on the nose really come to the front. There is a lot of cold coffee flavour and a bit of oakiness. 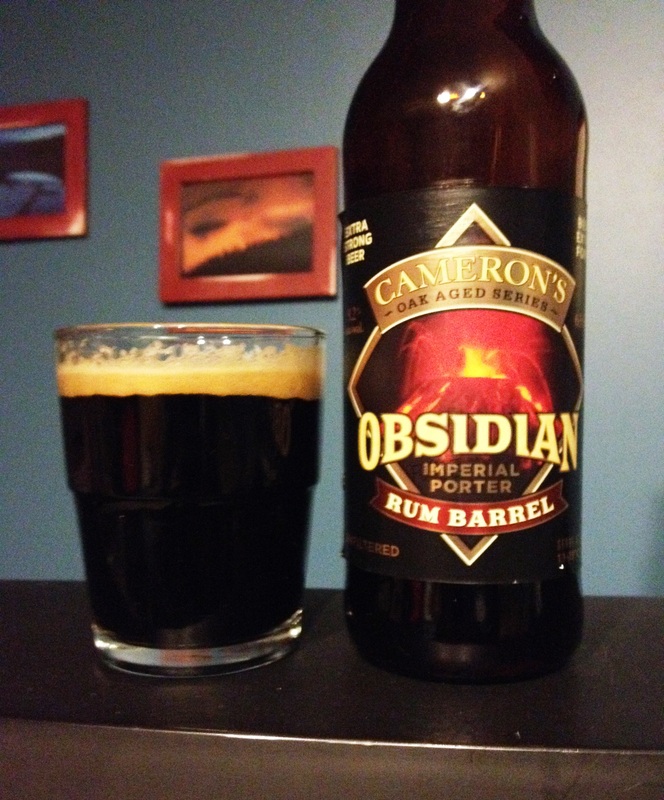 This stout is medium bodied holding its high ABV well and never becoming alcoholy tasting. I really like the flavours imparted when barrel aging a stout. The finish has a nice amount of bitterness. Overall I would say MOA Imperial Stout was an excellent choice for a cold and rainy Vancouver night while perhaps not ideal for a 42° Celsius day in Vegas. Looking forward to trying more from this brewery in the future.